WITH A GROWING REPUTATION as one of South Carolina's latest boom towns, North Charleston has proven to be an excellent place to live and visit. Split between three counties, Charleston, Berkeley and Dorchester, just north of the city of Charleston, the area was comprised mostly of plantations prior to the Civil War. 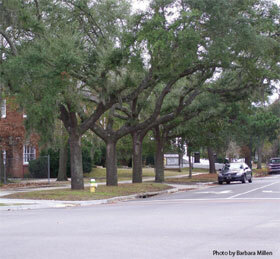 The area eventually was subdivided into smaller farms, and phosphate mining was popular before North Charleston became a planned industrial community. The city's economy received a boost when the Navy yard was established in 1901, and Park Circle was designed as a garden city in 1912�most of the layout remains today. Local government has worked hard to commercialize the area while retaining a feeling of community throughout its residential neighborhoods. The third largest city in South Carolina, North Charleston has ranked as the state leader in retail sales for 13 years. The city is home to many commercial businesses as well as a newly opened outlet mall just off Interstate-26. To satisfy your hunger after a busy day of shopping, there are many restaurants from which to choose.
" ... the area was comprised mostly of plantations prior to the Civil War. " Aside from the extensive recreational activities such as boating, fishing, hunting, tennis and golf, residents also enjoy the 13,500-seat North Charleston Coliseum, which is home to the South Carolina Stingrays of the East Coast Hockey League. Many musical shows and plays are held at the Coliseum and the adjacent Convention Center and Performing Arts Center. The affordable cost of living in newer neighborhoods as well as in more mature sections of the city is a plus. 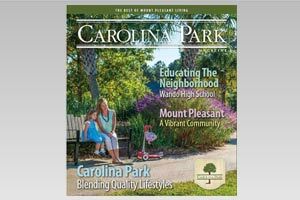 Playgrounds, schools, day care, fitness centers and jogging/walking trails have been incorporated into the communities, increasing home values and enhancing the quality of life for North Charleston residents. Institutions of higher learning include Trident Technical College, Charleston Southern University and Webster University, and the College of Charleston, The Citadel and the Medical University of South Carolina are in nearby Charleston. Health care facilities in North Charleston include Columbia Trident Regional Hospital, which has several satellite locations throughout the tri-county area, as well as Roper-St. Francis Healthcare and the MUSC Hospital. Many beaches are within easy driving distance of North Charleston, Isle of Palms, Folly Beach, Sullivan's Island, Myrtle Beach, Hilton Head, Kiawah Island and Seabrook Island among them.